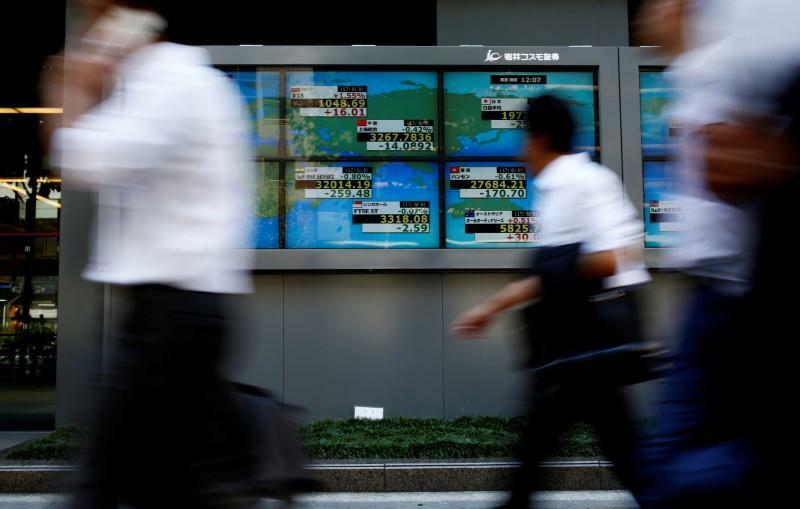 NEW YORK (Reuters) – Global equity markets fell on Monday amid unease over the impact of the U.S.-China trade war on China’s growth, while the dollar gained against the euro as Italian bond yields spiked on a brewing spat over Italy’s budget plans. 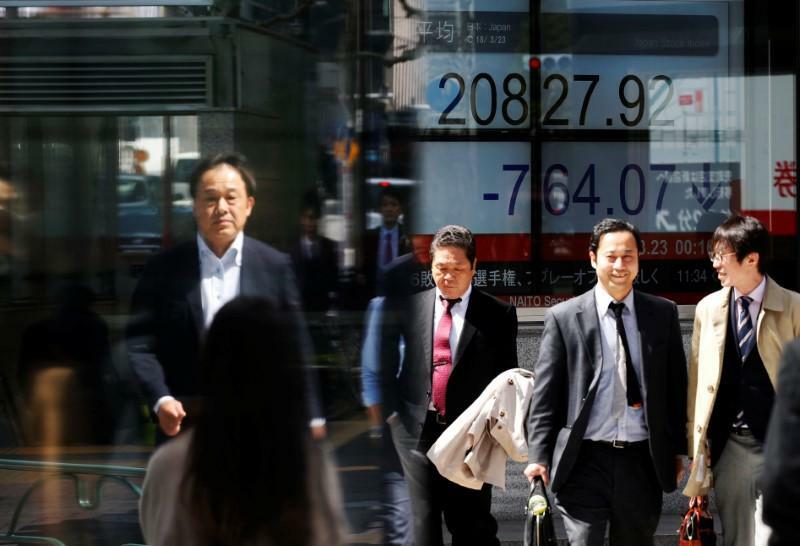 European markets slid, with defensive stocks under pressure as investor confidence took a hit from last week’s spike in Treasury yields and heightened expectations for further U.S. interest rate hikes by the Federal Reserve. On Wall Street, the tech-heavy Nasdaq fell for the third straight day though the broad S&P 500 pared losses to end nearly flat as defensive stocks offset a decline in growth shares. 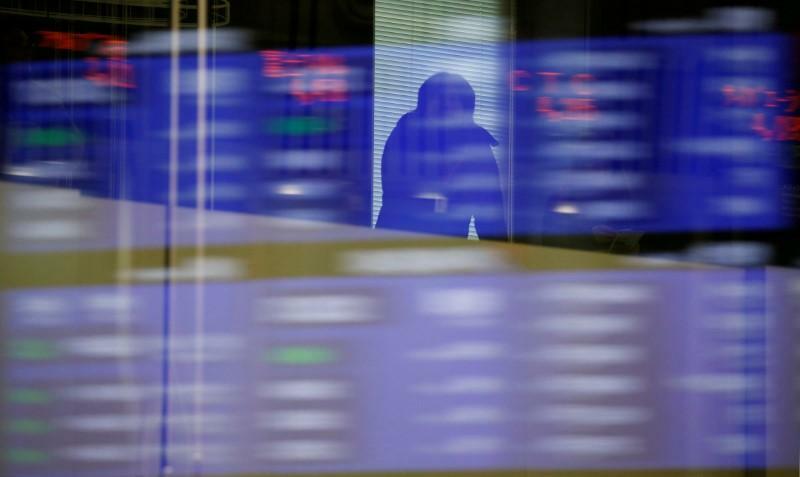 The pan-European FTSEurofirst 300 index of leading regional shares closed down 1.14 percent, its biggest one-day drop in a month, while MSCI’s gauge of stocks across the globe shed 0.31 percent. The United States remains concerned about China’s recent currency depreciation, a senior Treasury official said, adding that it was unclear whether Treasury Secretary Steven Mnuchin would meet with any Chinese officials this week. Washington last month slapped tariffs on $200 billion worth of Chinese goods, which prompted Beijing to retaliate with duties on $60 billion worth of U.S. products. Beijing moved over the weekend to spur more lending. Spot yuan slid to its lowest official close against the dollar in seven weeks on expectations of more easing by China. Wall Street pared some losses on a day the U.S. bond market was closed because of the Columbus Day holiday. Fear of slowing growth led to a drop in high-flying stocks that have led the U.S. equity rally. The biggest decliners were technology stocks, which tumbled 1.18 percent. The Dow Jones Industrial Average rose 39.73 points, or 0.15 percent, to 26,486.78. The S&P 500 lost 1.14 points, or 0.04 percent, to 2,884.43 and the Nasdaq Composite dropped 52.50 points, or 0.67 percent, to 7,735.95. Chinese stocks fell in their biggest one-day drop since February after markets re-opened following a week-long holiday in China, with the Shanghai-Shenzhen CSI 300 index down more than 4 percent for only the second time in more than 2-1/2 years. Yields on the 10-year U.S. Treasury note were at seven-year highs after a solid U.S. jobs report last week raised the likelihood of faster interest rate hikes. The yield on Italian government 10-year bonds rose more than 20 basis points to 3.626 percent, the highest since February 2014, while Italy’s FTSE MIB stock index fell 2.4 percent to its weakest since April 2017. Italy’s borrowing costs soared as a war of words between Rome and the European Union over the country’s budget plans escalated, with the deputy Italian prime minister denouncing officials of the European Commission as enemies of Europe. Brazil’s real currency hit a two-month high and stocks jumped after market-preferred presidential candidate Jair Bolsonaro’s strong first-round win on Sunday boosted investor confidence. 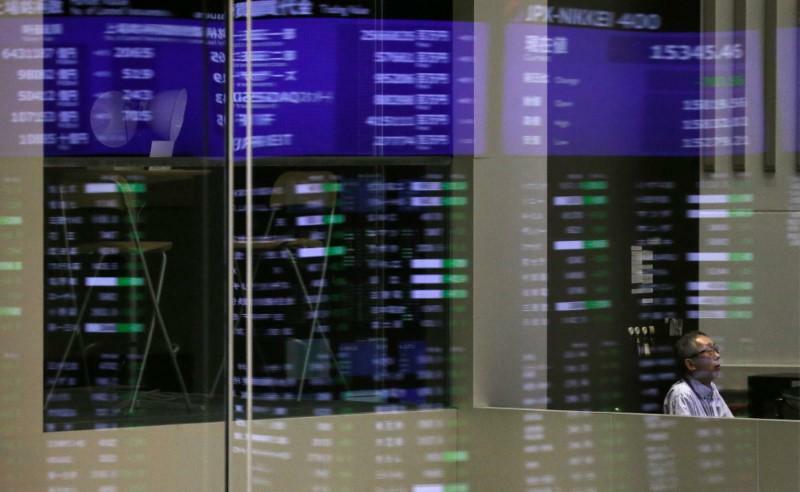 The real jumped 3.4 percent at one point before paring gains to trade at less than a 2 percent rise, and the Bovespa index jumped 4.69 percent. Gold fell more than 1 percent as investors sought refuge in the dollar, which has been lifted by recent strong U.S. economic data that has reinforced rate hike expectations. U.S. gold futures settled down 1.41 percent at $1,188.60 an ounce. “We are seeing some strength in the dollar index and some weakness in the equity market and it doesn’t appear that investors are going for safety in the gold markets at all,” said Phil Streible, senior commodities strategist at RJO Futures in Chicago. The dollar index rose 0.12 percent, with the euro down 0.25 percent to $1.1494. 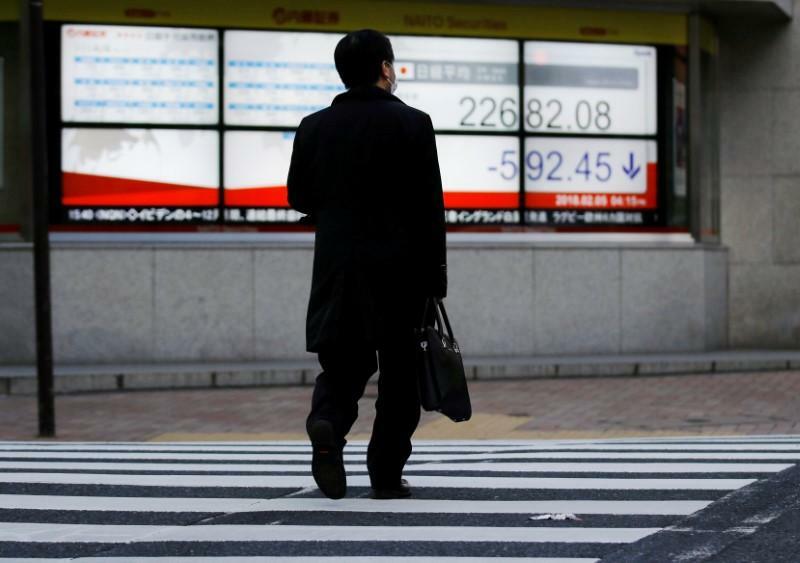 The Japanese yen strengthened 0.53 percent versus the greenback at 113.11. Oil dropped, pressured by expectations that some Iranian oil exports will keep flowing after the United States re-imposes sanctions, easing a strain on supplies. U.S. crude settled down 5 cents at $74.29 a barrel and Brent fell 25 cents to settle at $83.91.